Conti, Frances, 88, of Hamilton, NY and part-time of Boston’s North End, formerly of Long Island, NY on July 16, 2018. Predeceased by her beloved husband John V. Conti. Devoted mother of son Matthew Conti of Boston’s North End, daughter Regina Conti of Hamilton, NY and son-in-law William Porta of Hamilton, NY. Attentive grandmother to Rose Conti Porta and Max Conti Porta. Survived by cherished siblings, Angelina Spero (Paul dec.) and Angelo Grande (Kathryn). Predeceased by cherished brother John Grande (Angelina dec.). Also survived by loving sisters-in-laws Lucille Oates (Thomas) and Ann Bates (Robert), and many wonderful nieces, nephews, cousins and friends. Frances attended Brooklyn College and was the first person in her family to complete a college degree and the first woman to drive. She went on to earn Masters degrees in teaching and in counseling. 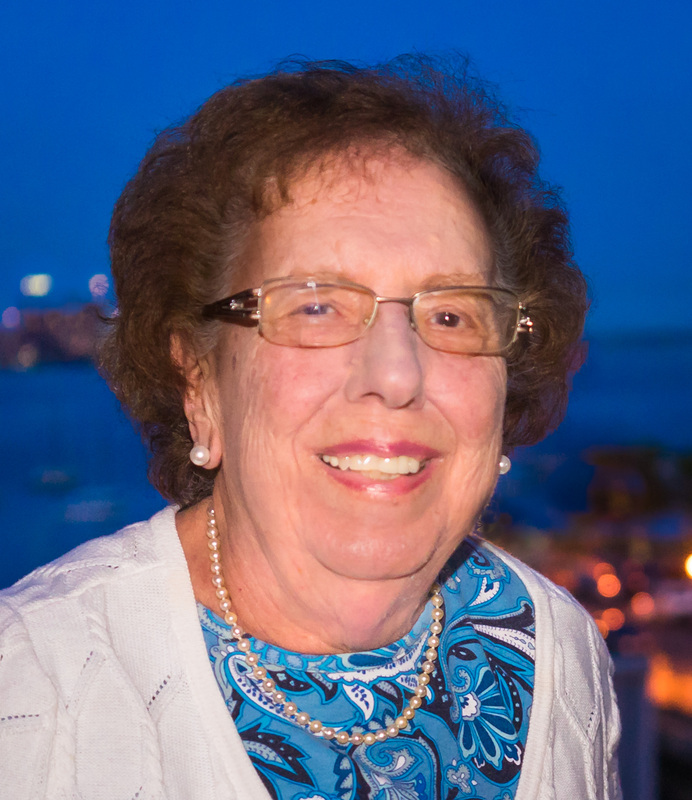 Frances had a long and successful career in the New York City school system as a math teacher and guidance counselor. For much of her career, Frances provided counseling services to Catholic schools in New York City through the Title 1 program. Frances was quite active through retirement, established homes near both of her children, and was involved in church and community activities. Frances’ favorite hobbies included crocheting and playing card and word games. The family will receive visitors at Burgess and Tedesco Funeral Home, 25 Broad Street, Hamilton, NY 13346 on Friday, July 20, 2:00 p.m. – 4:00 p.m. and 7:00 p.m. to 9:00 p.m. The rosary will be said on Friday July 20 at 2:00 p.m. and prayer service will be said at 7:30 p.m.
Funeral from Burgess and Tedesco Funeral Home on Saturday, July 21, 2018 at 12:00 p.m., followed by 1:00 p.m. Mass to be celebrated at St. Mary’s Roman Catholic Church, Wylie St. in Hamilton, NY. Services will conclude with interment at St. Joseph’s Cemetery, Hamilton, NY. In lieu of flowers, donations in Frances Conti’s memory may be made to St. Mary’s Roman Catholic Church, 16 Wylie St., Hamilton, NY 13346, (315) 824-2164 or to the Community Wellness Center (CWC). Checks made out to Community Memorial Hospital Foundation with memo specifying CWC can be mailed c/o Sam Cooper, CWC Board of Governors Vice Chairman, 62 Eaton St., Hamilton, NY 13346, (315) 824-0866. Next articleNeighborhood Photo: Wes Welker Gets His Hair Cut at Boston Barber Co.
Matt, very, very sorry! It is truly a sad moment for you. Take care and know you have friends who care. I’m very sorry for your loss, Matt. Sorry for the loss of your mother, Matt. Very sorry for your loss, Matt. Matt, both Ed and I send our thoughts your way and hope that soon this time of sadness also brings you time to reflect on happier memories of your Mother and her place in your life. Matt, so sorry for the loss of your mom. Hoping your memories of her will get you through this terrible time. Matt, so very sorry for the loss of your mother. You’re in our thoughts and prayers. Matt, the Friends of the North End convey its sincere condolences to you and your family. May God bless Frances. We at the ABCD North End/West End NSC are so sorry about the loss of your mother, Matt. She certainly lived a meaningful life and had a beautiful family. I hope that your memories will be a comfort. So sorry for your loss. My condolences to you and your family Matt. So very sorry for your loss, Matt. She obviously did a wonderful job of motherhood~~~~YOU being a wonderful project in her reflection ! My condolences sent your way. Your mother seems to have been a trailblazer. An accomplished and caring woman, devoted to her family and her community. My sincere condolences. Dearest Matt we are So Sorry to know of your Dear Mothers Passing. Sending prayers to you and Your Family. Peace and Gods Blessings in your Sorrow. Sorry for your loss. My thoughts and prayers are with you.